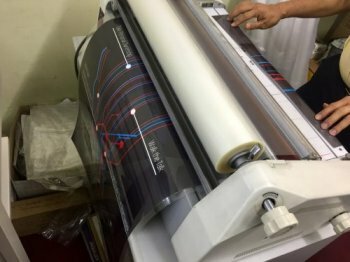 Laminating Service – Laminate A0/A1/A2 posters, small & large format printing – Plastic laminate paper A3/A4 documents & restaurant menus with ring bind. 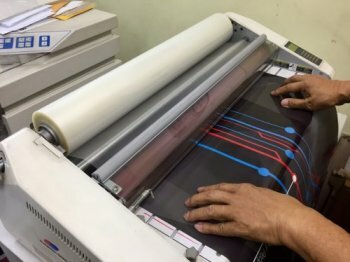 Laminating Service in PJ Damansara Uptown – A digital printing finishing: Gloss Paper by Hot lamination service in KL Jalan Ipoh & Petaling Jaya. 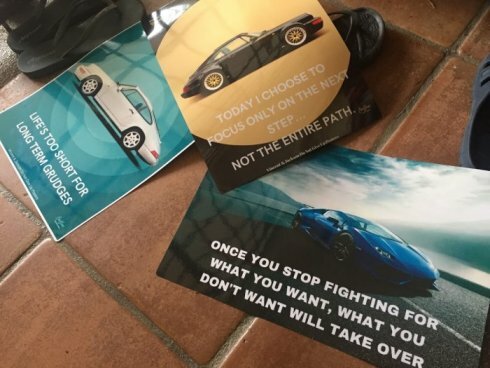 Convert poster prints into banner prints using a sheet of plastic laminated film. Paper Lamination available in A4, A3, A2, A1, A0 size. Laminating Service – Why laminate paper? 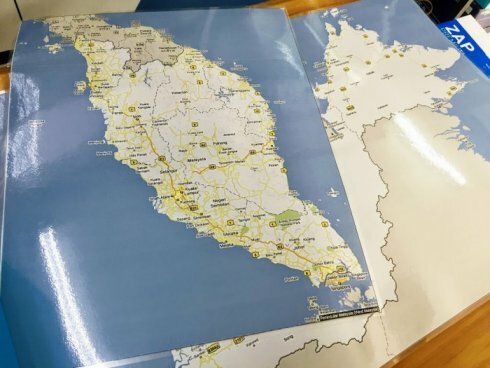 Laminate Paper Service in KL – Paper Lamination service increases its durability hence protecting your documents from tear, crumple, crease lines, and water while adding a layer of gloss and improving the contrast colors on your images. 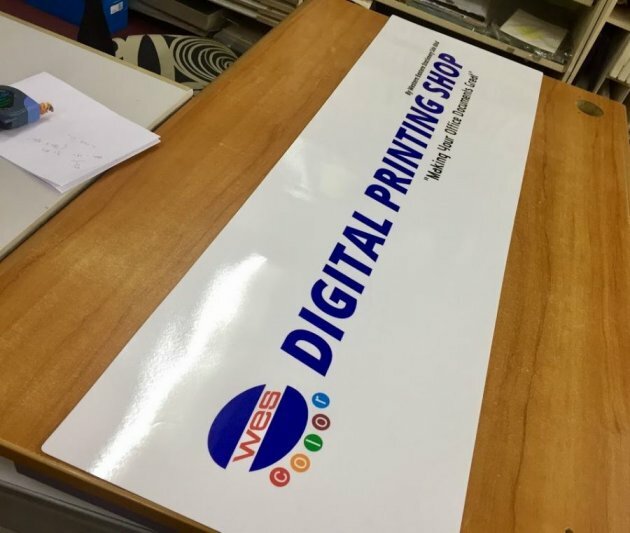 Banner printing alternative solution – is by laminating A1 size poster digital print. This section describes the average cost for – hot lamination services –. The prices to laminate paper are for gloss lamination services only. Hope this price info may assist our customers in making the best decision to glossy laminate services applicable from A0 size to A3/A4 sizes to IC card size. 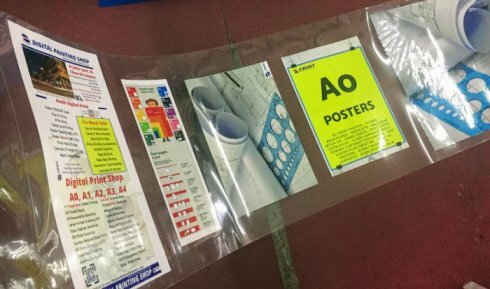 Apply plastic lamination on your printed paper documents to make it waterproof and durable at our KL printing shop also available in Petaling Jaya Selangor. Trim off the sharp edges to form nice, rounded edges on your laminated paper. 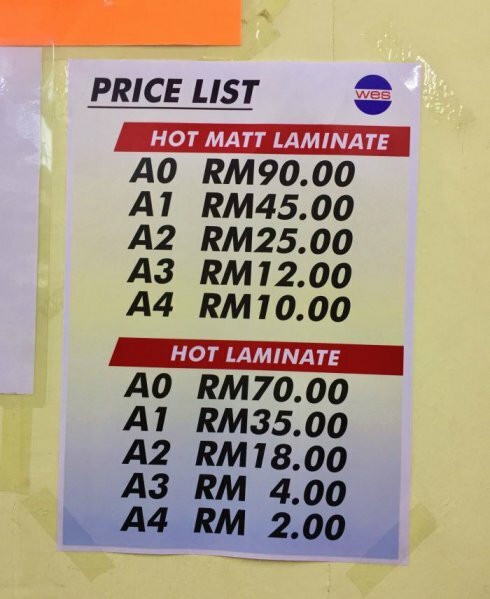 Is this laminating service available in KL or PJ? 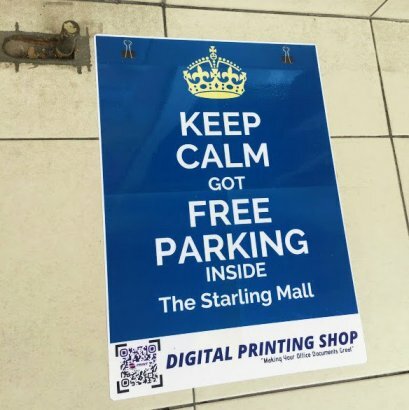 Yes: Available at our main KL printing shop too in clear plastic laminate types. Laminate your posters, restaurant menus, instruction booklets, training manuals etc. 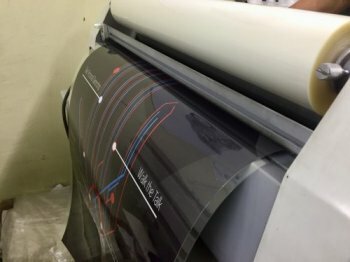 Large format laminate service increases its durability hence protecting your document from tear, crumple, crease lines, and water while adding a layer of gloss and improving the contrast colors on your images. 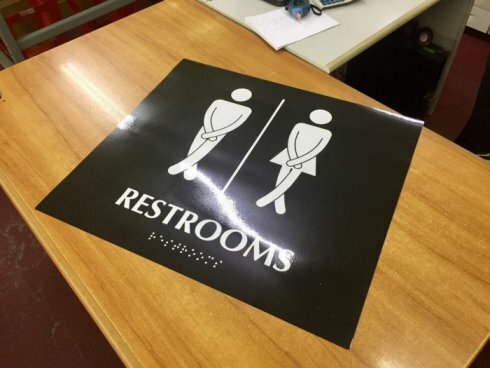 The below are some of our laminate services for A3 posters, table desk restaurant menu, toilet signages, Malaysia Map. If you like my suggestions, whatsapp me below. Thank you & Terima Kasih.